From what we gather from a meeting with this client, they always made mistakes of hiring inexperienced and unreliable Cleaning Company. Their problem was that they were always caught in a situation where they have limited to prepare their hostel rooms to accommodate students leasing it during school time. Yes, they also accommodate other types of guests when students are not around. Doing so, their rooms showed wear and tear damage by the time it is scheduled to for the students to occupy. Thus, they finally accepted our bid after several rejections from them. Yes, we do experience turned down, not because that they were not aware of our excellent services, but for some reasons only they can explain. We do not want to embarrass our client by saying I told you so. Instead, we proceeded with the usual activities with professional cleaning. We wanted this client to experience job done a Cleaning Company whose excellent reputation has been up there for several years. Our meeting with them started immediately with a physical inspection of each room and noted what particular cleaning jobs to be performed in order to make it look like brand new. Then, we presented to the client our rates. Since, there will be several cleaning operations to be done we give the client discounted rates. They were quite shocked to learn that we give financial considerations for them. Two days after our meeting, our team proceeded with their mission. They performed their duties based on the detailed work plan formulated specifically for this client. Since, it is our first time to do business with them, naturally, they were curious and they tailed around and monitor the team’s progress during the tidying operation. They have observed that our team members know the tasks as if they were mechanical robots. There were no obstructions like chatting while working, temporary stoppage of work due to repairing of damages and scratches, and were very careful in applying different cleaning methods. In fact, there was one incident that one of our team members provided them with a facial mask as protection for them while observing our people doing their stuffs. Five days after we finished our Cleaning Company London mission with them, they called us and cheerfully described the effects of our job with them. According to one of them, initially, the rooms were not filled, but when the students found how sparklingly clean their hostel, some of them immediately invited their fellow students booked in other hostels and transfer to their accommodation. They just realized now that it really pays to invest and hiring cheap and undependable Cleaning Company will only result in few customers for them. They were so delirious with the results and the client decided to book us in advance. As a happy gesture they informed us that they will give advance deposit to secure their reservations. They are afraid that they will compete with other companies seeking our excellent services. Indeed, there are lots of positive developments to happen when you really take good care of your clients by providing them total customer satisfaction. 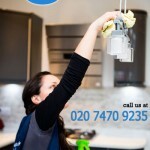 In case you require added particulars about our Cleaning Company in London, please speak to us on 020 8884 9149.